At the end of the round, discard Saruman from play. Response: After Saruman enters play, choose a non-unique enemy or location in the staging area. 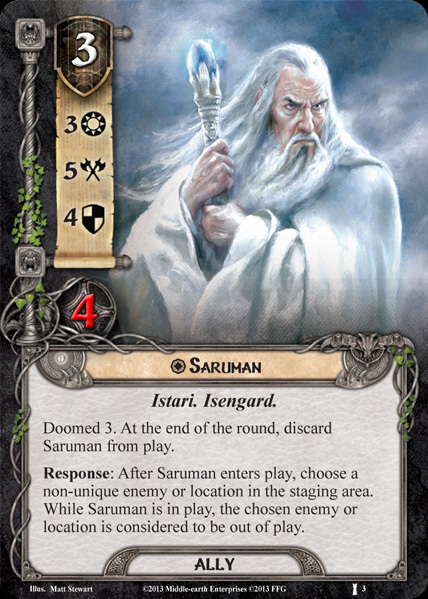 While Saruman is in play, the chosen enemy or location is considered to be out of play.